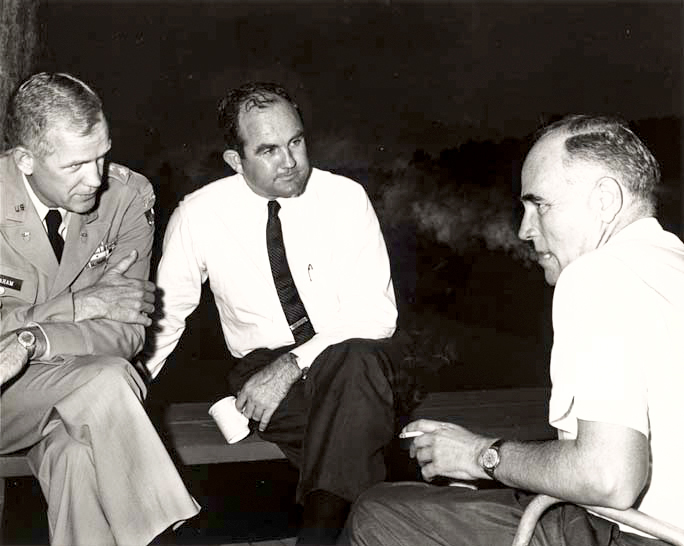 Lt. Gen. Henry Graham, left, Alabama Governor John Patterson, center, and Alabama highway director Sam Englehardt, ca. 1960. Graham was a top Alabama National Guardsman during the 1960s whose duties included removing George C. Wallace from his stand in the schoolhouse door in Tuscaloosa in 1963. Patterson and Englehardt leveraged construction contracts to push education reforms through the legislature.